Facilities management firm B38 Group has invested £600,000 in to new premises in Wakefield. The firm, which has doubled revenue year-on-year for the past three years, plans to recruit another 30 head office staff as part of the expansion. Over the last eight years, founders Richard Phillips and Tim Bailey have grown B38 Group into a £12.5m turnover business, home to 100 staff. It provides a full range of commercial property support services with a focus on property maintenance. The moves comes after it outgrew its previous base on the outskirts of Wakefield on Denby Dale Road. 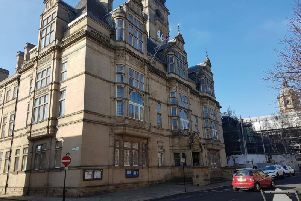 It has now taken a five year lease for over 6,500sq ft of Grade A office space at No 2 Burgage Square in Merchant Gate, next to Wakefield Westgate Station. B38 has a 100-strong team of field-based engineers providing nationwide coverage to clients as well as employing another 50 people at its Wakefield head office. Mr Phillips said: “The business has seen phenomenal growth over the last few years as we have focussed on delivering a quality proposition and investing in the latest facilities management technology to keep us at the forefront of the sector. “Clients trust us to provide a bespoke service and find a solution to their building-related maintenance issues, and we’ve expanded our team to ensure we are able to continue to provide this. B38 Group has built up a portfolio of blue-chip clients such as Whistl, and won over 25 national service contracts during 2018 as it has increased its presence in the logistics sector and in student accommodation.